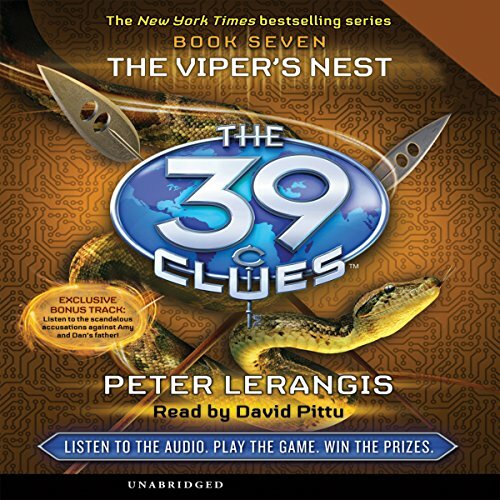 Amy and Dan must steal a Clue guarded by thousands of the world’s best-trained soldiers. With their enemies closing in, the brother and sister are separated. Now how will they stand a chance? 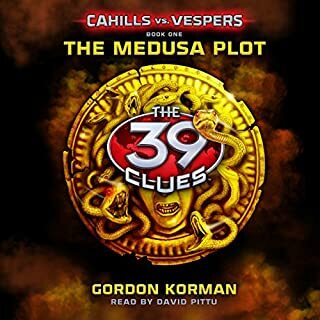 A Clue found in Book 3 sends Amy and Dan jetting off to find out just what's behind the fierce rivalry between the Tomas and Ekaterina branches of the Cahill family. Was a Clue stolen from the Tomas branch? 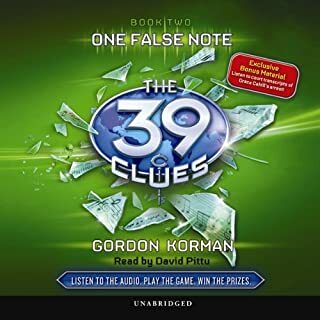 Where is it now? And most important, can Amy and Dan get their hands on it before their rivals do? It's a wild race that will take Amy and Dan deep into the bowels of the earth... and right into the hands of the enemy. 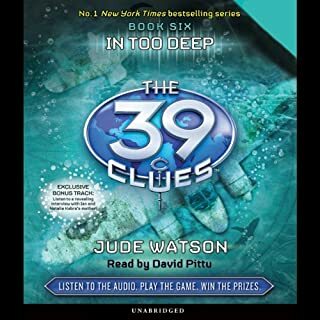 When the hunt for the 39 clues leads 14-year-old Amy Cahill and her younger brother, Dan, to Japan, their only chance to find the third Clue seems to lie with their unreliable uncle, Alistair Oh. Will they be foolish enough to make an alliance? With a Clue on the line, Amy and Dan might not have a choice. But in the Cahill family, trusting your relatives can get you killed. 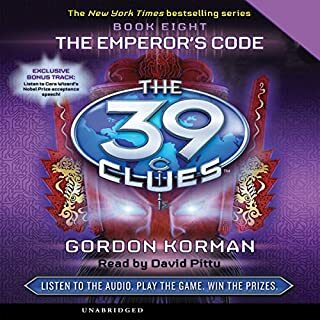 The race is on to find 39 Clues that safeguard a great power, and 14-year old Amy Cahill and her younger brother, Dan, are shocked to find themselves in the lead. The search seems to be taking them to Vienna, and they hold a coded piece of Mozart's sheet music that's the key to finding the next Clue. But tailed by a pack of power-hungry relatives, Amy and Dan can't see if they are sailing toward victory - or straight into a deadly trap. 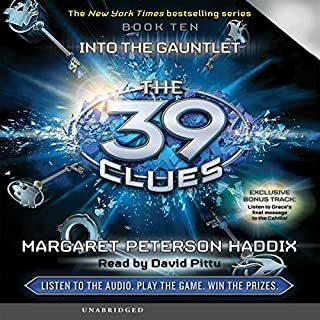 Great read (listen) for kids! 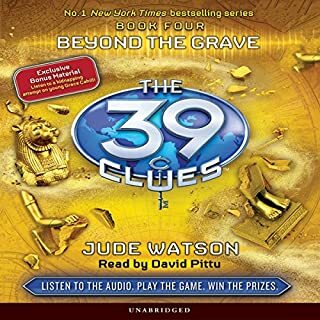 Fourteen-year-old Amy Cahill and her younger brother, Dan, thought they could return to their regular lives when they found the 39 Clues that safeguard their family’s great power. But they were wrong. 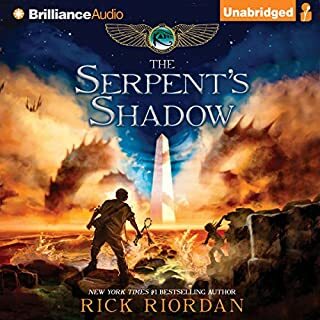 Powerful enemies – the Vespers – have been waiting in the shadows. And they’ll stop at nothing to grab the Clues. Four powerhouse authors unite to expose the 500-year-old secret struggle between the Cahills and the Vespers. The Vespers are rising . . . and the world is in jeopardy. 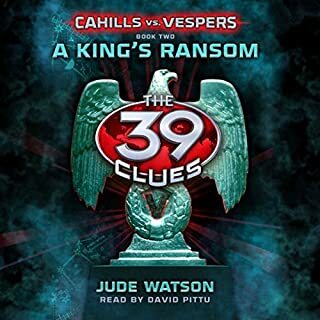 Amy and Dan have managed to rescue one of the Cahills kidnapped by the Vespers, but the remaining hostages are still in peril. 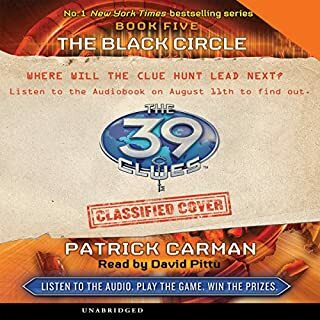 Their search for the next ransom item leads Amy and Dan to Turkey and then to Italy where a visit to the site of an ancient disaster changes everything. 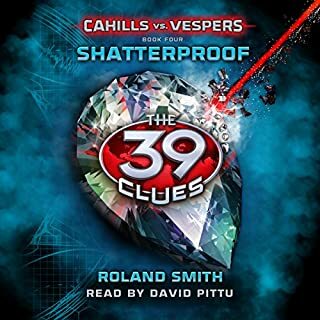 The Vespers are far more dangerous than the siblings ever imagined and, even worse, it looks like they have an undercover mole posing as a Cahill. Amy and Dan have to face the biggest decision of their lives with nowhere to turn... and no one to trust. 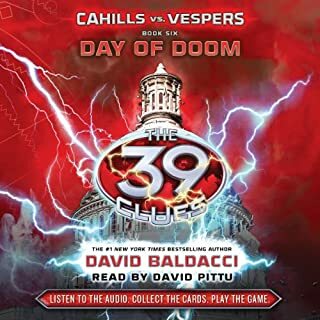 International best seller David Baldacci pens the stunning conclusion to Cahills vs. Vespers! David Baldacci is the author of 23 books for adults, each of which has become both a national and international best seller. 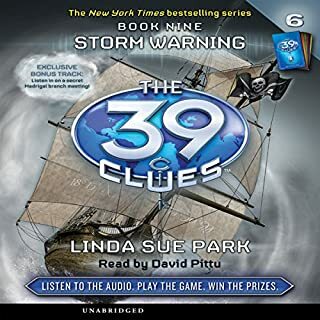 A surprising twist brings Amy and Dan back to New England for their first mission on U.S. soil since the beginning of the Clue hunt. But being close to home is anything but a comfort. The siblings have learned that there's a mole in the Cahill organization.... And the traitor is one of their closest confidantes. However, this betrayal is overshadowed when Amy and Dan make an even more devastating discovery: the truth about the Vespers' real plan. 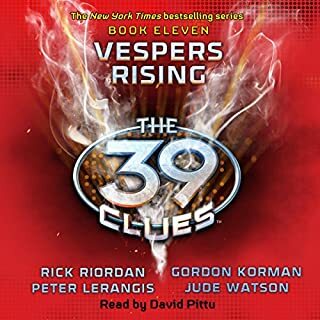 Burdened with this terrifying information, Amy and Dan are forced to ask an impossible question: Is it more important to save the hostages...or stop the Vespers? 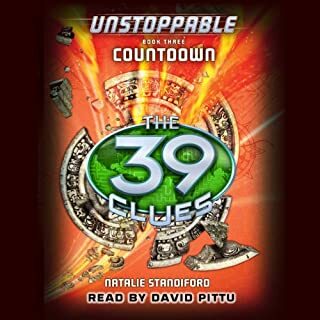 The 39 Clues is unstoppable! The best-selling series returns with an adventure spanning four explosive volumes and a website that places listeners right in the action. 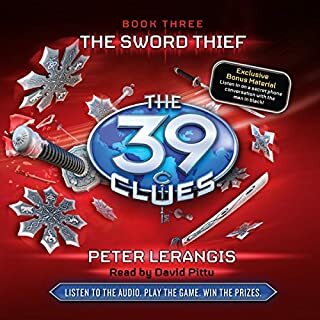 Yet just as the siblings begin to master the art of ancient warfare, they confront a dangerous enemy that can't be felled with a sword: the truth. With the stakes higher than ever, Amy and Dan uncover something so devastating it changes everything - the secret of their family branch. fun chapter in this great series. fun chapter in this great series. 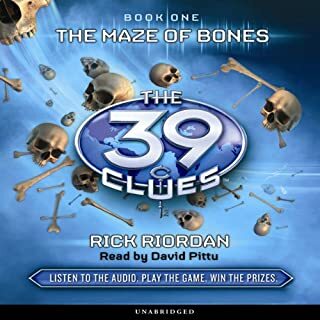 can wait for more twists clues and adventures. David Pittu shines as always. i cannot comment on every writer individually because the books sort of ran together for me during a week trip. I read them all and cannot pinpoint every writer. I can say that they were all wonderful and have great stories mixed with history and geography. They can teach in a great fun exciting atmosphere.